I think I need to briefly change the name of my blog to HappyBirthdayAuthorGreetingCardDesignerSongWriterMusic ProducerFilmProducerHumoristandIllustrator.com. Sandra Boynton was enormously successful early in her career as a greeting card designer. She designed thousands of cards for Recycled Paper Greeting Cards, which sold tens of millions of copies per year during the peak years in the 1980s. Her most important card, designed in 1975, showcased illustrations of a hippo, a birdie, and two ewes (Happy Birthday to You). It has been estimated that this one card idea has sold around 10 million copies. While succeeding at greeting cards she began using her talent for illustrating and rhyming to write and design children's books. Her first children’s book, Hippos Go Berserk , was published in 1977 while she was a student at Yale School of Drama. Since then she has published over 40 books for children and adults. I first read Sandra Boynton books when my daughter was interested in board books, which is the format that many of her books are published in. On our bookshelf we had Blue Hat, Green Hat, Belly Button Book, Moo Baa La La La, A to Z, and Hey, Wake Up! I have memories of reading all of these books. We loved the silly turkey in Blue Hat, Green Hat because he just couldn't get his clothes on right. 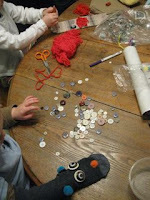 We still refer to belly buttons as Bee Bos because of the Belly Button Book. 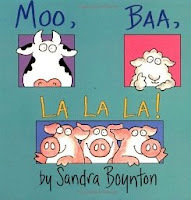 Moo Baa La La La was the first book my son was able to read to me. Lastly, that silly turkey shows up again by "tripping" for the letter T in the alphabet book, A to Z. I remember using a thanksgiving turkey puppet to act this part out over and over to the laughter of my daughter when she was 1 year old. 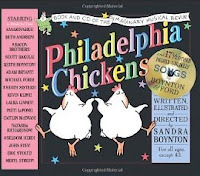 Boynton's talent for writing rhymes and love of music led her to produce four albums (Blue Moo , Dog Train , Philadelphia Chickens , and Rhinoceros Tap ) with her music partner and composer Michael Ford. She writes all the words for the songs then, Michael sets the words to music. Boynton has been successful getting stars like Davy Jones, Meryl Streep, Blues Traveler, B.B. King, and many others to sing her songs for the albums. 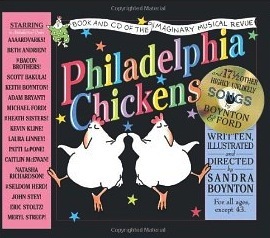 Her most successful album was Philadelphia Chickens, which was nominated for a Grammy in 2004 for best musical album for children. These albums have been packaged with a illustrated book, however, single copies of songs can be purchased online . This week we listened to Blue Moo: Juke Box Hits from Way Back Never. Boynton loved making this album as it allowed her to revisit her childhood and the music she raised her children to love. She feels that 50's jukebox music is perfect for all children. Our favorite songs off the album were Big Band Sound , Singing in the Shower , and Your Personal Penguin (Free Download). Also, on Blue Moo is the track, One Shoe Blues , which is sung by B.B. King. Sandra Boynton and Michael Ford took this song one step further by producing a short film that features B.B. 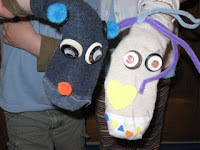 King, the great song, and sock puppets. My 2 year old son loved watching this 5 minute video and the sock puppets auditions skit. All these videos are available on YouTube, but are also sold on a DVD with a book. Sandra Boynton has found success with books, music, greeting cards, and film. The consistent features of unique humor and quirky illustrations have made her work recognizable by children and adults. The question is where will she go next, more music, more film, or something completely new? Click here for the Sandra Boynton Library Checklist! This printable can be taken to library to help you select and keep track of your favorite Sandra Boynton books. We are having a lot of fun listening to her CDs in the car this week. I did notice that many of her recent board books were first songs on these fun albums. I was just reading my American Baby magazine for April 2010, and it mentioned that Sandra Boyton's book Snuggle Puppy was a great one to bring on Dr. visits, because it is full of love and kisses. It made me think of Happy Birthday Author!